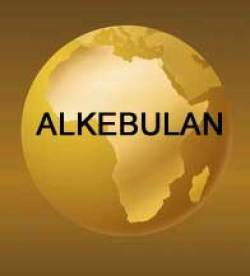 The Original name for Africa is ALKEBULAN: Arabic for "The Land Of The Blacks"
Alkebulan is the oldest and the only name of indigenous origin. It was used by the Moors, Nubians, Numidians, Khart-Haddans (Carthagenians), and Ethiopians. Africa, the current name adopted by almost everyone today , was given to this continent by a European invader by the name of Louis Africanus. Like all methods of manipulation the Romans sought to completely disconnect the indigenous Africans from their culture, deities, and knowledge. Publius Cornelius Scipio battled Carthage– a powerful city-state in northern Africa– which had established itself as the leading maritime power in the world. The First Punic War broke out in 264 B.C. when Rome interfered in a dispute on the Carthaginian- controlled island of Sicily; the war ended with Rome in control of both Sicily and Corsica and marked the empire's emergence as a naval as well as a land power. In the Second Punic War, the great Carthaginian general Hannibal invaded Italy and scored great victories at Lake Trasimene and Cannae before his eventual defeat at the hands of Rome's Scipio in 202 B.C. left Rome in control of the western Mediterranean and much of Spain. In the Third Punic War, the Romans, led by Publius Cornelius Scipio the Younger, captured and destroyed the city of Carthage in 146 B.C., turning Alkebulan into Africa. Scipio then later adapted the name Publius Cornelius Scipio Africanus.